In March, we discovered the “Institut du Commerce“ ! This past March, we met the “Institut du Commerce“… who are they? A brief summary, this is a platform for trade players, manufacturers, distributors and service providers to reflect on how to address consumer expectations more effectively and responsibly! To carry out this mission, collaborative workshops are organized to take into account the ideas of all and to emerge the most relevant through working groups. … No more rewriting post-its and tedious syntheses! More information : Solve it ! Conference and workshops: Dare to recruit smart: innovate for tomorrow! Develop agile recruitment practices and encourage mobility. Workshop it!, collaborative solutions editor also participates in this event. In this context, the collaborative solution Solve it! will be used to capture the exchanges between the participants and allow to build a synthesis of the various topics addressed which will be returned the same day ! 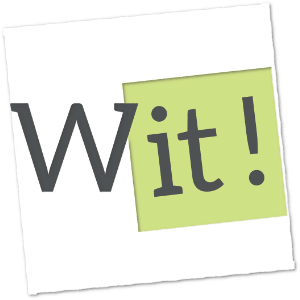 Founder of Workshop it !, the leading provider of collaborative solutions to accelerate decision-making and boost employee engagement in action. How to make a team work successful? How to involve more employees around a project? How to engage them in action? This is the problem that responds the young company Workshop it! with its digital solution Solve it !, simple and easy to use. The creation of Workshop it! responds to which request? More information : Discover the complete interview! Discover the new digital solution for animation and action plans follow-up: Do it! Thanks to Do it ! view and share with your teams the progress of your projects and action plans on site or remotely. Invite free of charge your customers and partners to collaborate and follow your action plans together. Easy to use and intuitive, use the Do it! method or create your own themes and progress reports of your actions according to your context.Take into account the progress of your project to control and master the key milestones. Thanks to Do it ! lead your team and manage the success of your projects! The team Workshop it! design a new digital solution to organize your projects : Do it! Managing your projects is complicated : endless e-mail exchanges, outdated spreadsheets and post-its, complex software and outdated management techniques ? Do you find it difficult to engage your employees in the action, to effectively share the work of each other, to unite your team around a common goal ? Summer is coming, go serenely on vacation, Workshop it! is currently working on this issue. We are developing a collaborative online solution to organize, monitor and animate your action plans with your team and your partners. Do it! completes the first digital solution of Workshop it! : Solve it !, the Problem Solving method to accelerate decision making and engage your team in action. Today, many action plans are not followed correctly, the key phases are initially poorly defined… Workshop it! creates for you Do it! the interactive and intuitive solution to simply manage the organization of your projects! With Do it !, the management of tomorrow is today! Have a nice summer, see you soon. Workshop it! animates pilot phases and adopt an update. Workshop it! has traveled a lot since September, and we finally come back at home, our suitcases are put down, we take a short time for post you this message. We have got through, the animation of the business hall of the airport Paris Charles de Gaulle, to the animation of problem solving workshop for Oracle or even Schneider, and we accompanied pilot phases for Orange, Siemens and Ayming. A great success ! We also gladly responded to the invitation to attend Microsoft Experiences on October 3rd and Oral-Orange Innovation Day on October 24th. Thank you for these exchanges, these projects and these meetings professionally very rewarding ! During the same period, Workshop it! took the opportunity to adopt an update, currently available! Yes, we don’t stop the technology ! Workshop it! assists the teams of the Oracle’s Digital Mission. Workshop it! is proud to announce you its participation in the Oracle’s Digital Mission, the next June, 20th and 21st. On this occasion, Patrick Torrents, the Workshop it! CEO, will coach the teams and offer them his digital solution of Problem Solving, Solve it!. The goal : help the teams to make their ideas real, to turn the blank sheet into a pitch assessed by several experts; all of that in 36h. 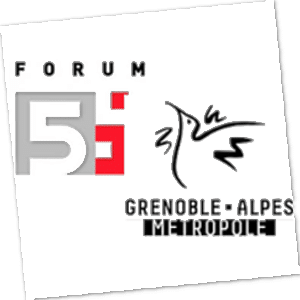 Grenoble Alpes Metropole gives its confidence to Solve it!, the Workshop it! solution, to facilitate several workshops focused on specific problematics about the industry of the future. The workshops celebrate the 20th anniversary of the Forum 5i. This event will occur Thursday, June 1st at the Congress Center of the WTC Grenoble. Solve it! goes up a version. We are very pleased to announce you the launch of a new digital version of our problem solving tool, Solve it!. Its new functionalities offer you reports and additional analysis approaches of your results and permit a more intuitive navigation. 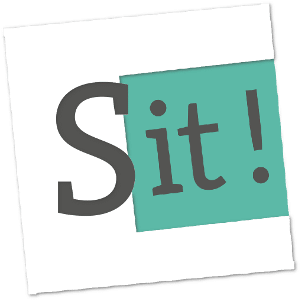 A new legal structure for Workshop it! Workshop it ! evolves and is no longer juridically dependent from Extellient. Workshop it! has been developing in the Extellient’s structure since 2014, but since January 2017 the software editor has become a firm in its own right. An outstanding opportunity to help your clients and prospects speed up their business, making open innovation, design thinking and data-driven marketing pivotal to the exploration of new business approaches. This month, Schneider Electric and Somudimec are instigating collaborative meetings using Workshop it! to answer open questions on a team basis! Oracle Digital Mission with Workshop it! On 22 and 23 June Oracle organised the Digital Mission event: “36 hours from scratch to pitch!” was the challenge laid down for participants. And Workshop it! was there as the solution of choice to facilitate “sharing, inventiveness, fun and collaboration” within each working group. Leading companies are adopting Workshop it! Our new clients and partners include Engie, Capgemini and Oracle. Their key challenges are digitisation, productivity and new uses.